Since spring is finally here I have decided to spruce up my porch! I bought a bunch of pots and flowers to add life and color. I also got some pretty decorative pillows and wind chimes. I needed something to display my address numbers but I knew I had to get creative. 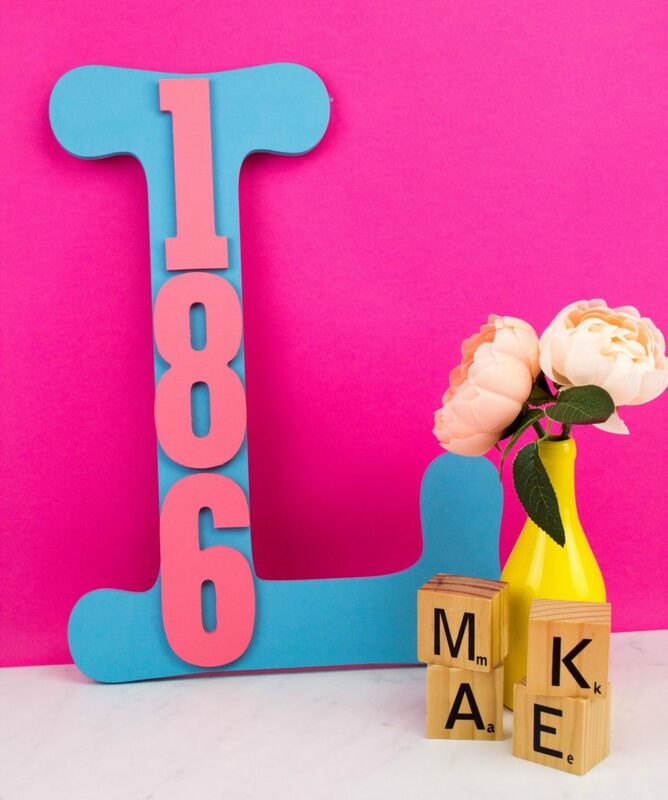 I took some time and got inspired to make a cute DIY Initial House Address Plaque! I’m getting married in September so I’ve been making lots of crafts with my soon-to-be- initials on them, so why not make some outdoor spring decor? I love all of my DIY outdoor decor but I really think this will make it took so much better. I hope you enjoy this fun tutorial! paint your large letter any color you’d like. I find that chalky finish paint does really well on unfinished wood. I usually only have to apply 1 coat! Now paint your numbers another color in chalky finish paint. We chose Blue for the letter and a pretty coral color for the numbers! We couldn’t find solid wood numbers that looked right so we went with some sturdy paper mache numbers that took a few coats of paint. Once everything is dry take on your numbers and line them up where you want them to go on your letter. Then with your E6000 glue them down one by one and make sure they’re all straight before they dry. 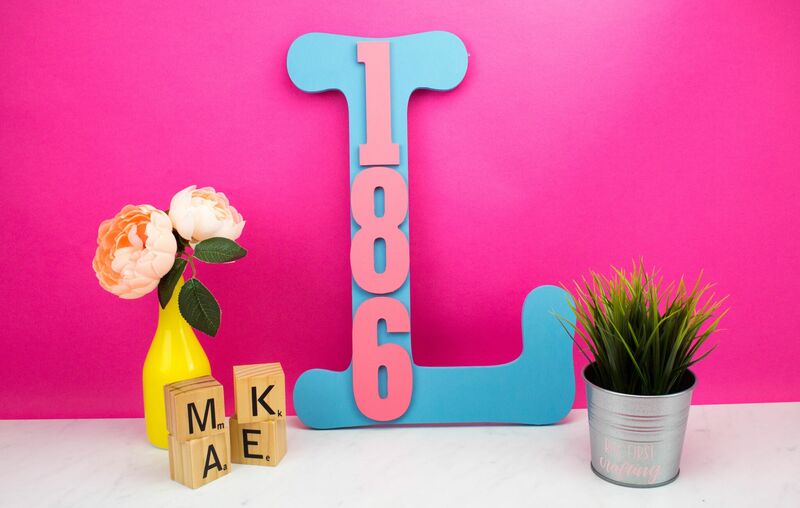 If your wooden letter doesn’t have a hook on it simply add a hook with an outdoor hanging kit. I love this project. It’s so colorful and really helps people see my address easier! I’m excited to take on a new last name and I’m proud to display it! This is a perfect DIY wedding gift or DIY engagement gift for some friends or family you know that’s tying the knot! I hope you loved this tutorial. Happy crafting!